These are some older photos I have finally processed. This was the last fog from 2014. Fog always provides and interesting mood to any photograph. 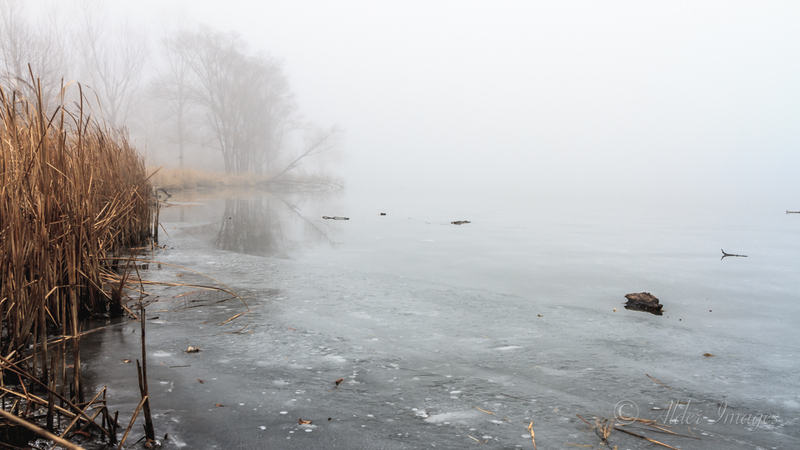 The tough part is finding fog that is thick enough to make the mood of the photograph what it should be. The particular fog was were thick, so thick that it made it a little dangerous to pull into the location I was initially planning on. I went a little further down the road to a different turn off and made my way down to the lake. The lake was frozen from the many freezing cold nights and the grasses and trees were brown and without leaves. This part of the lake is not all that deep so there were little pieces of tree protruding through the ice. 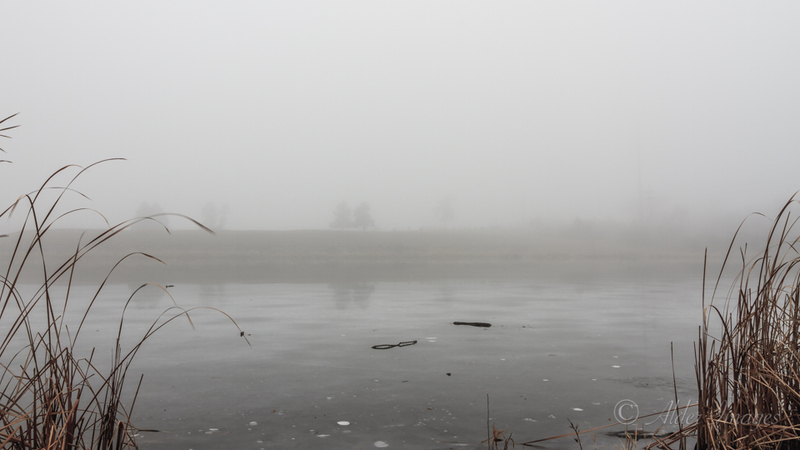 I found a couple locations in a close proximity to try and make the fog work with the photo. The first one I really enjoyed how the shoreline of the lake made a slight curve into the foggy abyss. 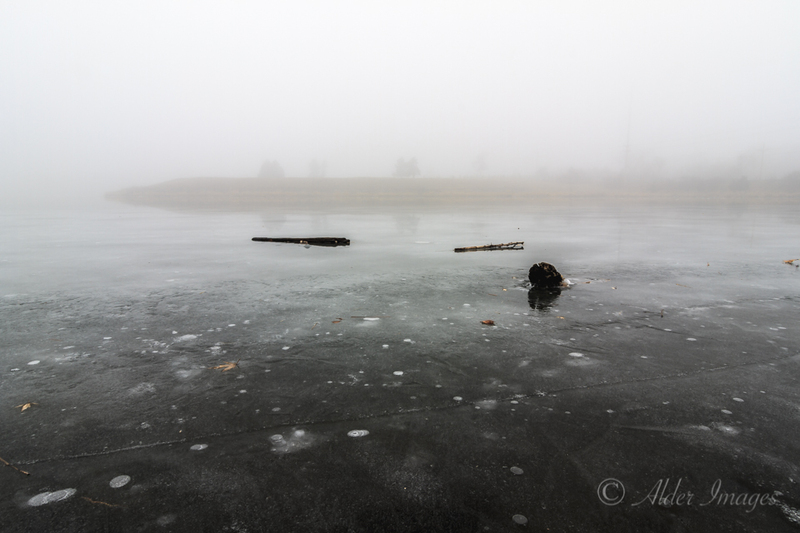 Photo was to portray the wood coming out of the ice and the numerous air bubbles trapped in the ice. This last photograph was of the cemetery that is right along the outer banks of the lake. This is originally where I wanted to stop for a photo but as you can see the fog is especially thick right in that area. The road to that location is pretty heavily traveled and very narrow leaving little room for anyone to make emergency stops. I used the grasses on the bank to frame this photo, helping to give it a couple layers of interest.